JQ Talks: 10 Survival Tips for the Malaysia's Largest Clothes Buffet! 10 Survival Tips for the Malaysia's Largest Clothes Buffet! If you can ZIP IT, you can KEEP IT! This is definitely one of the most genius idea ever invented. A fashion buffet, I mean come on, how could you say no. This is a whole new level to the term 'shopping' without breaking the bank! 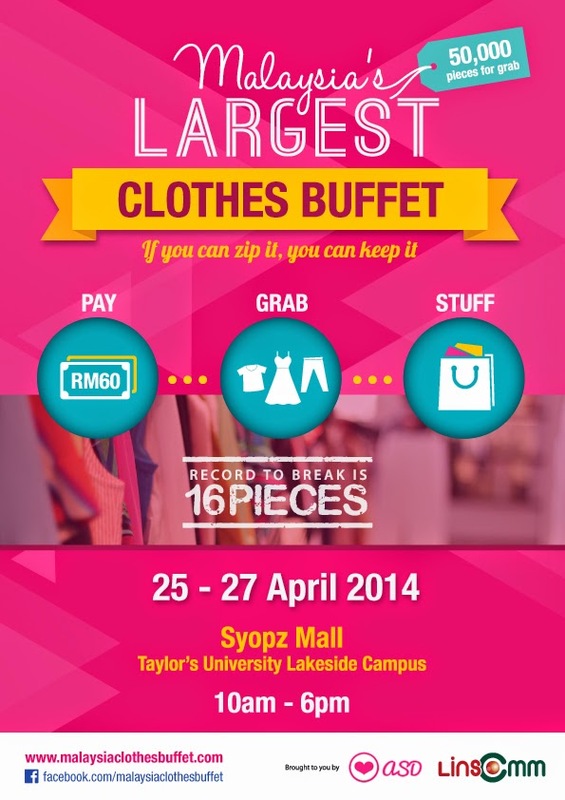 Everyone is invited to join me at the Largest Clothes Buffet this coming 25th-27th April 2014 at Syopz Mall, Taylor's University Lakeside Campus, from 10am - 6pm. 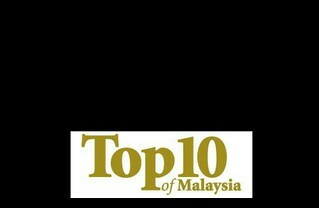 This round, they've prepared 50,000 pieces of fashionable items up for grabs only with an extrance fee of RM60. Upon payment, each will received a ziplock bag and 15 minutes to shop, shop, SHOP! 15 minutes?! How do any girl shop in 15 minutes?! It's all about pre-planning and strategy. Here're some tips to survive the vicious style jungle. Go through your closet, jewellery stash and shoe cabinet a day before the event, this can help you refresh your memory on all the clothings, accessories and shoes that you have. This can help prevent you on buying something similar or something that might not be able to match whatever that you currently own. Keep a rough list of the type of items you want, but girl, generalise it please. Eg: strip tank top, floral shorts, sling bag and etc. You won't have time to find specific items like a black shirt with purple and pink polka dots. Just like in a rave party, you dress for easy and comfort. Things like flats and comfortable outfit will do wonders. Btw, bags are not allowed in. Get this figured out before you get into the war zone. Sometimes, good quality items are thicker. If your looking for sweaters, you might not be able to pack much of other stuffs. What's your objective there? Yes, it's all about speed but you don't own the area. So keep your claws to yourself and be polite to others while you shop. If you take more than 10 seconds to think about one item, means you don't really want it. #7 QC on the spot! You know you want it, great! Now check it to see if it's in good condition or not. It's no good if it's torn or stained. If you're unsure, just go back to the plain and basic wardrobe item that you know you can easily match with anything. Keep those phones away while you shop. STAY FOCUS! Your boyfriend can wait. Travellers do this all the time, you can pack more by tight rolling your clothes. If adrenaline shopping is not your thing, go slow with the BLOWOUT sale from 4pm-6pm. It's only RM10 per piece, you can't go wrong either. Note: You are encouraged to purchase your tickets in advance from www.malaysiaclothesbuffet.com in order to avoid disappointment of not getting in.